Data Center Management and Maintenance - Who Takes The Lead? With growth must come greater management oversight and control of new data center facilities ensuring that any growth is met with effective facilities management and monitoring policies. With regional growth driving the creation of so many new data center facilities ONE9 3NINE Consulting offers customers a complimentary portfolio of solutions to bridge the Management FM divide bringing clarity and greater understanding between all stake holders. 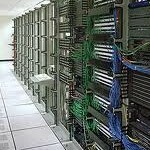 Signup to our Data Center Business Directory here.